Does the E.U.’s Airline Blacklist Make Flying Safer? On the surface, the news that Yemenia Airways, whose jet crashed off the coast of the Comoros Islands on Tuesday, was not on the European Union’s blacklist of airlines deemed lax on safety seems like a good argument for not only maintaining the blacklist, but extending it further. Some families of the 152 victims, 66 of them French nationals, claim their relatives died as a result of sub-standard practices the airline uses once it’s beyond the view of European inspectors . The modern Airbus A330 that Yemenia flies from Paris to Sanaa in Yemen, they charge, was systematically swapped for an aging A310 for the final leg to Comoros’ capital Moroni. Meanwhile, Transport Minister Dominique Bussereau pointed out that the A310 that crashed Tuesday had been banned in France since 2007 after failing security checks. And with the E.U. set to review its blacklist this month, Bussereau suggested, Yemenia’s operational days in Europe may be numbered. Ascend’s Hayes also points out that external factors may have played into the A310’s crash  including a night landing on a poorly-lit strip, and high winds that reportedly caused an aborted landing prior to the accident. Despite that, Bussereau again warned on Friday that “Yemenia has to make big efforts” on safety if it wants to avoid being placed on the E.U.’s blacklist this month. But even if it is, as Tuesday’s accident shows, an E.U. 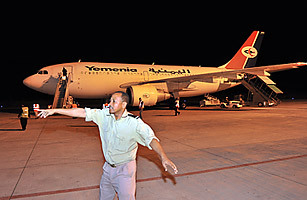 ban wouldn’t prevent European travelers from flying Yemenia and other small airlines on routes between Sanaa and destinations outside Europe when they are the cheapest or only options. And with the doomed A310 having continued flying between Yemen and London with the approval of British safety officials even after the French ban, blacklisting individual airlines may not be an effective or fair approach. “What Europe should do is follow the U.S. method of banning all airlines from countries whose civil aviation officials don’t enforce international security standards,” Hubert argues. “Targeting individual carriers is often overly subjective, and inefficient in remedying the original problem of insufficient oversight by national aviation authorities.” The E.U. blacklist already effectively bans all airlines from nations such as Indonesia, the Democratic Republic of Congo, Croatia and Paraguay, in addition to individual carriers from countries whose safety oversights the E.U. considers sound. Even that, though, can’t prevent disaster from striking some of the largest and most reputable airlines on earth, whose accidents often account for the industry’s highest death tolls.